Press Release: TORRANCE, CA –Rydeen Mobile announced the introduction of the BSS2, the second generation of its radar blind spot detector, which improves accuracy and detection range. It also adds true cross traffic detection when reversing from a parking space. 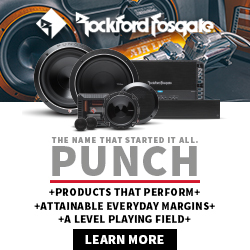 “The BSS2 system has been designed to equal or exceed OEM factory specifications in an aftermarket solution,” said Phil Maeda, President of Rydeen. 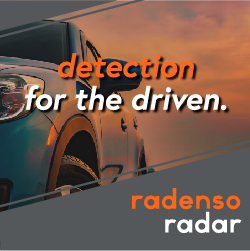 The latest in second generation radar sensing technology. Adjustable angled sensor brackets for better coverage and performance in all types of vehicles and customized applications. Supplied angle tools – Two angle tools are now included to facilitate finding optimal sensor angles for customized applications. 20° for a wider detection area or 17° for a narrower more defined detection area. GPS with selectable speed restriction (5/10/15/20 mph) to eliminate triggers in low speed high traffic areas such as parking lots similar to OEM systems. The BSS2 will be available in October at an estimated MSRP of $749. For more information visit www.rydeenmobile.com.